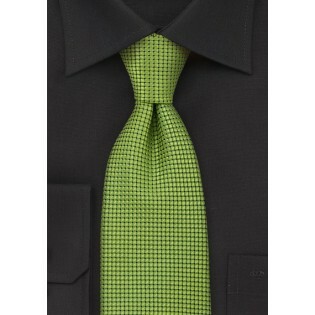 This boldly colored tie is perfect for the man seeking an unusual yet not un-classy tie. Although it is one of our brightest neckties it is still suited for the office. For a bit more conservative look we suggest you pair this tie with white shirt and medium-gray suit. 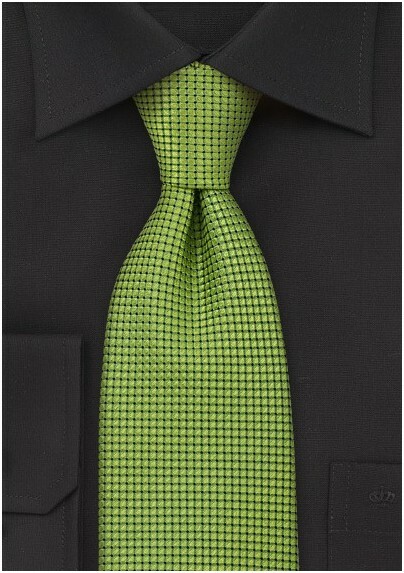 If you like this design but want a bit less bright color, then this tie also comes in purple, burgundy, navy, and cream. Handmade from 100% silk by necktie designer Parsley Luxury Neckwear.